The Switch port came second. During this year's Game Developers Conference Sébastien Bénard, a designer on popular roguelike metroidvania Dead Cells, gave a postmortem of indie studio Motion Twin's hit game. He explained that Dead Cells had sold over a million copies, with about 60% of that number on PC. Of the console versions, the Nintendo Switch port was the biggest seller. 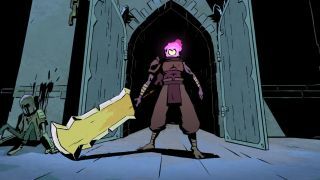 He also described Dead Cells as a "last chance project" for the studio, and said that its success saved them from going under. Dead Cells won our Best Roguelike award last year, and was a perfect example of Early Access being done right.